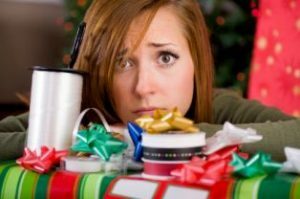 Feeling overwhelmed as you do all the planning, buying, decorating, scheduling and more, all to have the best Christmas this year? You’re not alone! We can all use a little (or, errr, a LOT!) of help there every fall and early winter as the big magical holiday approaches. My name is Donna and I created this site for frazzled folks just like you! Christmas season is my favorite time of year. It always has been, ever since I was little girl. And now with two boys of my own, it’s my favorite even more since I get to experience it through them too! Both my boys are in youth sports and one day while at one of their events I was talking to another Mom who’s a close friend. It was a couple of months before Christmas and I was telling her all about the plans I had already been making for it. As we talked, we both realized just how much there is to do and think about in order to have the perfect Christmas. I decided then to start my own site dedicated to helping others with insight, tips, advice, resources, product reviews and more to help them prep for and plan the perfect Christmas year after year. And so ChristmasPrep.com was born. I hope you find the site useful. I have fun running and maintaining it. And please, if you have any questions, please contact us here. I’ll do my best to guide you in the right direction. All the best… and Merry Christmas!